Advanced Child Abuse Investigation Training Program for Law Enforcement – is supported by the Children's Justice Act through the Texas Center for Judiciary. This training program is administered by the Texas Municipal Police Association with input from a statewide curriculum committee comprised of representatives from law enforcement, child protective services, children's advocacy centers and victim services. The program developed a comprehensive curriculum covering crucial aspects related to law enforcement's response to child abuse, neglect and exploitation. The program will utilize a network of certified instructors to deliver training on a local basis, thus enabling more officers to take part in this very important training, Austin, TX. Bureau of Alcohol, Tobacco, Firearms and Explosives (ATF), U.S. Department of Justice, Washington, DC. 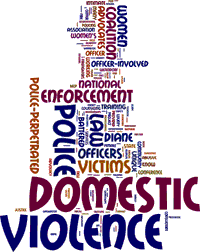 Clearinghouse for Officer-Involved Domestic Violence – this website is for and by women who have been abused by intimate partners who are police officers or firefighters. Federal Bureau of Investigation (FBI), U.S. Department of Justice, Washington, DC. Federal Law Enforcement Training Center (FLETC), U.S. Department of Homeland Security – the leader in career-long law enforcement training. We prepare law enforcement professionals to fulfill their responsibilities safely and proficiently, ensuring that training is accomplished in the most cost-effective manner, Glynco, GA.
International Association of Chiefs of Police – the world's oldest and largest nonprofit membership organization of police executives, with over 19,000 members in over 89 different countries. IACP's leadership consists of the operating chief executives of international, federal, state, and local agencies of all sizes, Alexandria, VA. Youth Focused Policing Resource Center – created Youth Focused Policing (YFP) as a proactive intervention strategy to enable police to intervene with youth to reduce crime, victimization, long-term health and criminal justice costs and prolonged involvement in the criminal justice system. This website contains information and resources to assist law enforcement in delivering Youth Focused Policing within their communities. International Homicide Investigators Association – the primary mission of the IHIA is to assist and support law enforcement agencies and death investigation professionals by providing leadership, training, resources, and expertise that will enhance their ability to solve cases, Fredricksburg, VA.
LawOfficer.com – provides a newsletter, training, resources and support, San Diego, CA. Major Cities Chiefs Association – a professional association of Chiefs and Sheriffs representing the largest cities in the United States, Canada and the UK. MCCA was formed in 1949 to provide a forum for executives to share ideas, experiences and strategies for addressing the challenges of policing large urban communities. While the forum remains a primary purpose, as MCCA has grown its purpose has expanded to include: to influence national public policy on law enforcement matters; to enhance the development of current and future leaders; and to encourage and sponsor research, Salt Lake City, UT. National Black Police Association – the principal concerns of the NBPA center upon law enforcement issues and the effect of those issues upon the total community. The NBPA serves as an advocate for minority police officers and establishes a national network for the training and education of all police officers and others interested in law enforcement, Dallas, TX. National Center for Rural Law Enforcement – established within the Criminal Justice Institute in 1994, provides management and forensic education, research, computer and technical assistance for rural and tribal law enforcement agencies throughout the nation. It is the goal of the NCRLE to promote the viewpoint of rural and tribal law enforcement professionals while providing research and technical assistance to these agencies in support of their administrative and operational missions. Criminal Justice Institute, a division of the University of Arkansas System, enhances the professional and technical effectiveness of Arkansas' criminal justice entities by offering continuing education in the fields of management, forensics, and computer applications, together with providing research and technical assistance. CJI is committed to continuing and strengthening collaborative efforts with other higher education institutions and law enforcement agencies in order to provide advanced education and professional development for the Arkansas law enforcement community, Little Rock, AR. National Center for the Analysis of Violent Crime, Federal Bureau of Investigation – the mission of the NCAVC is to combine investigative and operational support functions, research, and training in order to provide assistance, without charge, to federal, state, local, and foreign law enforcement agencies investigating unusual or repetitive violent crimes. To accomplish its mission, the NCAVC is organized into three components: 1) Behavioral Analysis Unit – East / West Regions; 2) Child Abduction and Serial Murder Investigative Resources Center; and 3) Violent Criminal Apprehension Program. National Center for Women & Policing, a division of the Feminist Majority Foundation – promotes increasing the numbers of women at all ranks of law enforcement as a strategy to improve police response to violence against women, reduce police brutality and excessive force, and strengthen community policing reforms, Beverly Hills, CA. National Organization of Black Law Enforcement Executives – committed to equity in matters related to law enforcement, its mission to ensure equity in the administration of justice, and its unyielding commitment to work towards the elimination of racism and bias of any type within the law enforcement field. This includes a commitment to equal treatment in the administration of justice and within the law enforcement field for all people, regardless of sexual orientation or gender expression, Alexandria, VA.
National Sheriffs' Association – serving the law enforcement/criminal justice professionals of the nation for more than 60 years, NSA is a non-profit organization dedicated to raising the level of professionalism among those in the criminal justice field. Through the years, NSA has been involved in numerous programs to enable sheriffs, their deputies, chiefs of police, and others in the field of criminal justice to perform their jobs in the best possible manner and to better serve the people of their city/counties or jurisdictions, Alexandria, VA.
Office on Community Oriented Policing Services, U.S. Department of Justice, Washington, DC. Remarks by Attorney General Holder at the Celebration of the 20th Anniversary of the COPS Office, November 12, 2014. Officer Down Memorial Page – a non-profit organization dedicated to honoring America's fallen law enforcement heroes. More than 20,000 officers have made the ultimate sacrifice in the United States and it is with great honor that the ODMP pays a lasting tribute to each of these officers by preserving their memories within its pages. All who visit the ODMP will be deeply moved by the countless stories of selfless courage and heroism exhibited by officers who lost their lives while serving and protecting the citizens of this great nation, Fairfax, VA.
OJP Diagnostic Center – a resource designed to provide customized training and technical assistance (TTA) to address persistent and emerging public safety problems using evidence-based strategies. The Diagnostic Center helps communities invest in what works by bridging the gap between data and justice policy at the state, city, county and tribal levels. Diagnostic Center TTA builds community capacity for data-driven decision-making, ensuring that limited local resources are invested wisely and federal assets are leveraged where they are needed most. Diagnostic Center services are provided to communities without cost; but the success of the engagement is dependent on the community’s commitment to and participation in the Diagnostic Center’s data-driven process. By maximizing the impact of available resources, the Diagnostic Center can help communities reap better public safety outcomes. Washington, DC. Read Consider the Evidence Blog. Police Executive Research Forum – an independent research organization that focuses on critical issues in policing. Since its founding in 1976, PERF has identified best practices on fundamental issues such as reducing police use of force; developing community policing and problem-oriented policing; using technologies to deliver police services to the community; and evaluating crime reduction strategies. PERF strives to advance professionalism in policing and to improve the delivery of police services through the exercise of strong national leadership; public debate of police and criminal justice issues; and research and policy development, Washington, DC. Police Foundation – the purpose is to help the police be more effective in doing their job, whether it be deterring robberies, intervening in potentially injurious family disputes, or working to improve relationships between the police and the communities they serve. To accomplish our mission, we work closely with police officers and police agencies across the country, and it is in their hard work and contributions that our accomplishments are rooted, Washington, DC. 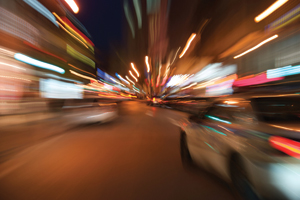 Police-on-Police Shootings and the Puzzle of Unconscious Racial Bias (scroll down) – Professor Chris Stone recently completed a study of police-on-police shootings as part of a task force he chaired in New York State. He reported on his findings and recommendations, exploring the role of race in policing decisions, methods to improve training and tactics to defuse police-on-police confrontations before they become fatal, and methods to improve the investigations of such shootings (National Institute of Justice seminar recorded on June 24, 2010). Sexual Assault Family Violence Investigator Course – designed to provide law enforcement officers with the tools they need to effectively investigate and prevent sexual assault and family violence. SAFVIC was originally developed by a statewide steering committee composed of representatives from law enforcement, prosecution and victim services. The SAFVIC program uses a network of certified trainers to deliver the training on a local basis, thus enabling more officers access to this very important training, Austin, TX. SAFVIC on the Scene, March 2009. SAFVIC on the Scene, December 2008. Sexual Assault Training & Investigations (organization of Sgt. Joanne Archambault, ret.) – provides effective, victim centered, multi-disciplinary training and expert consultation regarding crimes of sexual assault, Colville, WA. See OnLineTraining Institute. Training Institute on Strangulation Prevention – formerly known as the National Strangulation Training Institute, was launched in October 2011 as a program of the National Family Justice Center Alliance. The Institute was developed in response to the increasing demand for Intimate Partner Violence Strangulation Crimes training and technical assistance (consulting, planning and support services) from communities across the world. The Institute provides training, technical assistance, web-based education programs, a directory of national trainers and experts and a clearinghouse of all research related to domestic violence and sexual assault strangulation crimes, San Diego, CA. VALOR – is designed to help prevent violence against law enforcement officers and ensure officers resilience and survivability following violent encounters during the course of their duties. VALOR responds to the precipitous increase in ambush-style assaults that have taken the lives of many law enforcement officers in recent months. VALOR provides critical nationwide trainings and technical assistance to sworn state, local, and tribal law enforcement officers through a variety of delivery mechanisms and will conduct and disseminate analysis of violent encounters in various forms, including after-action reviews and lessons learned publications, Washington, DC. Violence Reduction Unit – in Scotland, violence has been an ongoing problem for generations, from gang violence to knife crime to domestic abuse. But we are beginning to see a difference: knife carrying and violent crime are now at their lowest levels in 30 years. Yet there is still work to be done to sustain these reductions in the long term. In January 2005, Strathclyde Police established the Violence Reduction Unit to target all forms of violent behaviour, in particular knife crime and weapon carrying among young men in and around Glasgow. In April 2006, the Unit’s remit was extended nationwide by the then Scottish Executive, creating a national centre of expertise on tackling violence. Adopting the public health approach as described in the WHO's World Report On Violence and Health (2002), the unit has simple aims: to reduce violent crime and behaviour by working with partner agencies to achieve long-term societal and attitudinal change, and, by focusing on enforcement, to contain and manage individuals who carry weapons or who are involved in violent behaviour. The unit also aims to explore best practices and develop sustainable, innovative solutions to this deep rooted problem. When the Batterer is a Cop – the Purple Berets have launched a national media project gathering the voices of women who have been abused by law enforcement officers. Our intent is to break the issue into the mainstream, forcing an end to police impunity and improving all domestic violence law enforcement in the process, Santa Rosa, CA. Wynn Consulting (organization of Lt. Mark Wynn, ret.) – a national trainer to police executives, patrol officers, training officers, prosecutors, judges, legislators, social service providers, healthcare professionals and victim advocates, Nashville, TN. The You Have Options Program – focuses on changing two fundamental elements in the law enforcement response to sexual violence: Increasing the number of victims who report to law enforcement, and thoroughly investigating identified offenders for serial perpetration. You Have Options Program Participating Law Enforcement Agencies recognize the need for a victim-centered and offender-focused response to sexual violence. The traditional law enforcement response to sexual violence tends to discourage sexual assault victims from seeking assistance through the criminal justice system. As a result, often law enforcement doesn't receive the information necessary to hold sexual offenders accountable, and those offenders go on to victimize additional persons. By addressing the barriers victims face when reporting sexual assault, and thereby increasing the number of sexual assault reports, the YOU HAVE OPTIONS Program provides investigators with information they would otherwise never have received, Ashland, OR.